The Center for Partnership Studies’ Caring Economy Campaign (CEC) is delighted to share exciting news with you, our community of partners. In this issue, we invite you to join us in the upcoming launch of the CEC’s Social Wealth Economic Indicators, read about the newest CEC Coalition member Great Work Cultures, and join the conversation with the Leadership and Learning Program. This week, join us for a Twitter Chat on the #CaringEconomy and #SocialWealth, August 21st at 10am PDT. We have great news. The Social Wealth Economic Indicators (SWEIs) we have been developing are set to launch this Fall with a report, a new website, and a livestream press event of academics, business, and other leaders encouraging inclusion of SWEIs in measures of economic health. Mark Your Calendar! 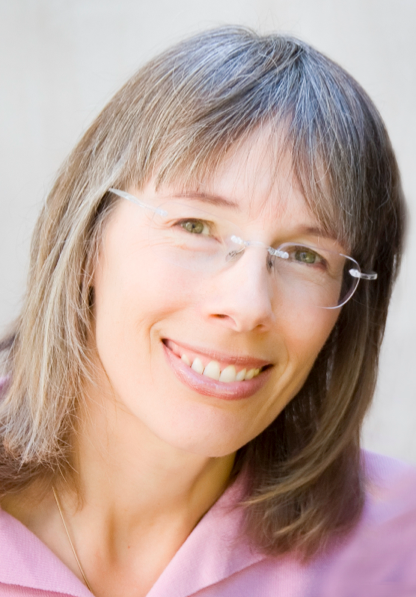 Carol Evans, president and editor of Working Mothers, will moderate the online panel which will take place on November 12 from 10 to 11am PT. We invite members of the CEC coalition (to date representing 16 million people) and other organizations as sponsoring partners. This is a great opportunity to bring attention to our coalition members and other sponsoring organizations as we roll out of these groundbreaking new measures of economic health. SWEIs are central to achieving the goals of the Caring Economy Campaign’s Coalition members. They provide empirical evidence of the enormous ROI of government and business investments in caring for people starting in early childhood. They are key to bringing about gender equity and economic security for all through policies such as paid parental leave, caregiver tax credits, high quality early childhood education, and other policies the CEC’s coalition members are working for. There’s been an effort for a while to expand economic measures to go beyond GDP. But none of these alternatives include the economic value of the care work that is primarily done by women in families for no remuneration or for very low pay in the market — which, as documented in an article we wrote for the 2014 Shriver Report, is a major reason for women’s and children’s disproportionate poverty. This is our chance to bring media attention to you, our coalition members and other sponsoring organizations, as we roll out these groundbreaking new measures of economic health. 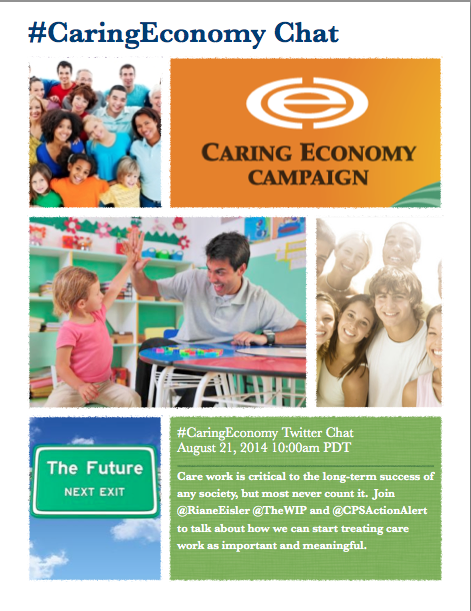 Join the Caring Economy Conversation on Twitter on August 21st! In preparation for the launch of the Social Wealth Economic Indicators, we are hosting a Twitter chat in conjunction with the Women’s International Perspective (The WIP) at 10:00am PDT on Thursday, August 21. The chat will center on the underlying principles behind the Caring Economy Campaign and will lay the groundwork for future discussions about the Social Wealth Economic Indicators in preparation for the launch in the fall. We invite you and your organizations to join the conversation on Twitter using #CaringEconomy to ask questions, share your experiences, or lend your expertise on how these principles can be applied to build healthier futures for us all. Please share these tweets with your networks in preparation for the chat. Join us for the #CaringEconomy chat Aug. 21 at 10 PDT to talk about how Social Wealth Economic Indicators can help your community! Did you know that in Australia, the economic value of unpaid care work is 50% of their reported GDP? Or that when children attend high quality early childhood education programs, they’re less likely to commit crime or abuse drugs, they earn more as adults, and are more likely to have a savings account? 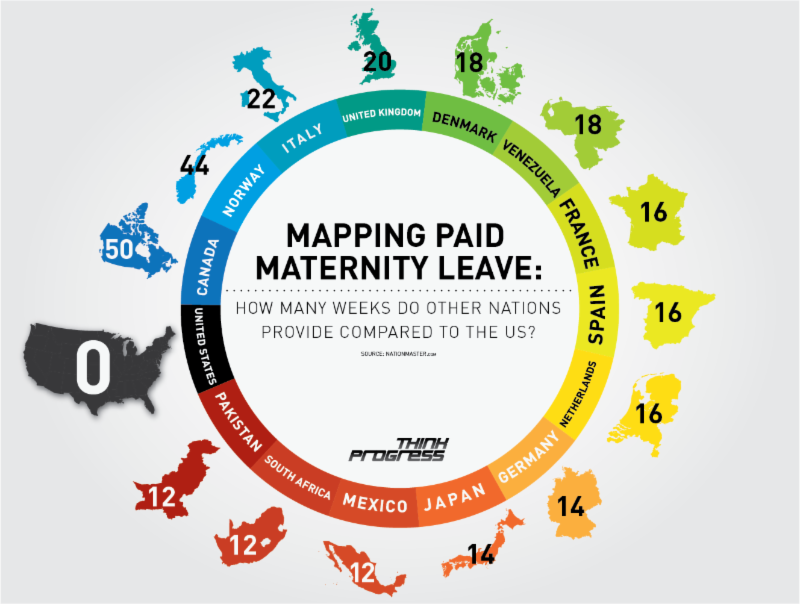 Or that the US is one of only two countries in the world (the other being Papua New Guinea) that does not mandate paid maternity leave? Yet none of this vital information is included in GDP or even most alternative metrics now being proposed. It is time to show the enormous return from investing in caring for people, starting in early childhood. The Caring Economy Campaign’s Social Wealth Economic Indicators (SWEIs) bring together data demonstrating the financial and social ROI from the work of care primarily performed by women for low wages in the market and no remuneration in families — a devaluation that largely accounts for women’s and children’s disproportionate poverty. In addition to developing the new Social Wealth Economic Indicators website, we are redesigning our Caring Economy Campaign website, and we invite you to participate. We want to feature your story on the forthcoming NEW Caring Economy Campaign Website. The CEC is more than a campaign, It is a vibrant community of individuals, families, organizations, all committed to a more equitable, nurturing, and prosperous economy. We’re showcasing this community (including you!) on the forthcoming NEW CEC website. The CEC is issuing an open call for stories and original photographs that represent who we are. The first 10 stories and photos received BEFORE SEPTEMBER 19th will be featured as an integral part of the NEW CEC Website, and all subsequent submissions will be used throughout the year to truly illuminate and reveal the people and lives behind the CEC. What is real wealth to you? What are the top 3 things that bring the greatest sense of value or well-being to your life? Where does your passion for a caring economy come from? Tell us your story. 1. What does a Caring Economy look like? To share your caring economy story or photo, contact Ann Amberg at [email protected] for a packet with submission guidelines and samples to spark your imagination. Fall is a wonderfully busy season for our Leadership and Learning Programs! Please join us for one or more of these great opportunities to enhance your leadership for caring economics, cultural transformation and the partnership way. 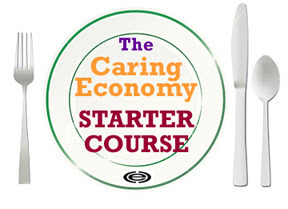 Wednesday September 10, please join us online for The Caring Economy Starter Course – a free lunch-hour webinar that introduces the foundational concepts of Caring Economics and offers an opportunity to ask questions and talk with Riane Eisler and Sara Saltee, Director of Leadership and Learning Programs. REGISTER to attend. 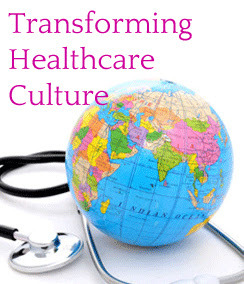 Healthcare Culture: Unlocking the Foundational Barrier to Improved Patient Safety, Quality and Experience. The course is facilitated by Julie Kennedy Oehlert, Vice President of Patient Experience at University of Arizona Health Network. Julie is a graduate of our Caring Economy Leadership Program, and a national expert on creating partnership cultures in healthcare settings. Learn more and register. 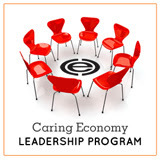 The Caring Economy Leadership Program is offering two opportunities this Fall to join our international community of Certified Caring Economy Conversation Leaders. 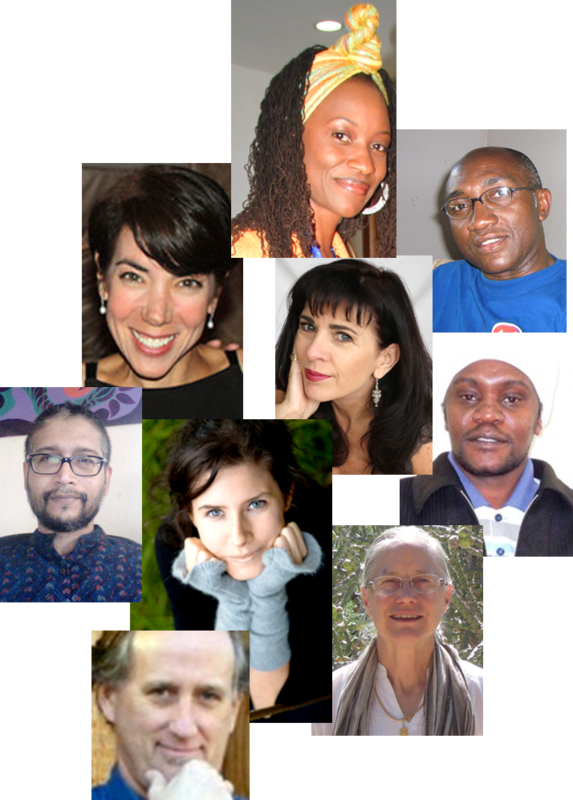 Cohort Yarrow begins on September 11th and meets for 5 online sessions. The Fall Weekend Intensive Cohort begins October 4th and meets online for three extended Saturday sessions. One recent participant called CELP “an inspiring learning experience, the best online training I’ve been involved with yet!” Our downloadable information packet explains more about this dynamic international program. Learn more. 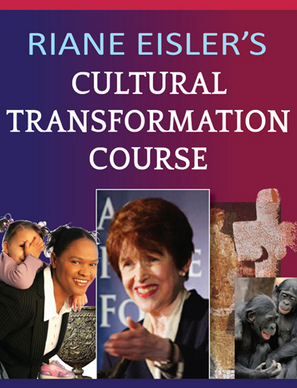 Riane Eisler’s Cultural Transformation Course, the tremendously popular 5-session online program, starts October 21. This transformative course includes 4 exclusive video lectures, and 5 live discussion sessions with Riane Eisler. Join us for this rare opportunity to study with Riane and discover how you can co-create the more just and caring future we so urgently need. This course fills quickly! Register today to reserve your spot. Over 190 organizations and leaders representing 16 million people so far have joined the CEC coalition, including most recently the Institute for Policy Studies and Great Work Cultures (see interview below). Other partners include women’s, children’s, civil and human rights, and mothers’ organizations, socially responsible businesses, and faith-based, think tanks, labor, and environmental groups. Please join the CEC coalition today to collaborate and have your work featured in this newsletter and our websites and social media! The CEC website at www.caringeconomy.org features a blog with contributions from CEC leaders and we are now reaching thousands through Facebook, Twitter, YouTube, and email blasts. We invite you to feature these postings on your sites and newsletters, and to let us hear of your caring economy related activities so we can feature them. Please join the conversation! Every issue we interview a leader from one of the member organizations of our coalition. For this issue, CPS president Riane Eisler had the pleasure of interviewing Joan Blades, co-founder of MomsRising, about her new organization, Great Work Cultures — which has also joined the CEC Coalition. Riane Eisler: You are a founder of Great Work Cultures and a leader in the movement to move workplace cultures to a new norm of respect for people’s responsibilities both at work and outside work, which also gives value to the work of care. What brought you to this work? Joan Blades: As a co-founder of MomsRising.org one key thing I worked on was promoting work practices that are good for people that have care taking responsibilities outside of work. It became clear to me that all the work practices that are good for mothers are good for everyone, including businesses. And at the heart of good work practices is respect for all workers. RE: When was Great Work Cultures founded, and what is your mission? JB: Great Work Cultures was founded last year and the first version of our website went up in April. The Great Work Cultures mission is to bring together individuals, organizations, and networks to co-create a new norm for work cultures that optimizes worker effectiveness and human happiness. Highlighting respectful work culture practices, sparking vital conversations around critical workplace challenges, and building a dynamic platform for sharing diverse workplace practices based on respect, we are drawing on the power of collective intelligence. We have created a model of distributed leadership, welcoming everyone to participate in the design and implementation of our current and future projects. RE: Why did Great Work Cultures become involved as a member of the Caring Economy Coalition? JB: CEC is an organization that shares our passion for creating a new norm of workplaces that respect workers’ needs to meet their responsibilities both at work and outside of work. RE: How will Great Work Cultures use the CEC’s new Social Wealth Economic Indicators to help meet these challenges? JB: We look forward to sharing CEC’s SWEIs with our growing list of champions and including CEC leadership in our collaborative work to change work culture norms. RE: What advice do you have for our other Caring Economy Coalition members on how to most effectively use the internet to promote our common goals? JB: Success stories are a powerful way to help us all envision the opportunities that great work cultures create. Blogs, video and relationship building amplify our collective efforts. RE: What are some of your activities CEC coalition should know about? JB: The GWC Hollywood Project – Popularizing new visions of reality is what Hollywood is good at. We are reaching out to writers and producers to get them to portray the workplace as it could be. Documentaries, reality shows (Workplace Makeover), scripted shows – The Office is a humorous dark side portrayal of work. Can we help some screenwriters begin to envision and portray the kind of work environments we are talking about? Companies that people would love to work for and companies in the process of change? Think of what Modern Family did for the gay rights movement. We can give Hollywood new material that carries the seeds of this transformation of work norms! The GWC Business School Project – Ensure that business schools and undergraduate business professors teach all their students about a broad spectrum of respect based management practices that are optimal for the modern workforce. The CEC is delighted to announce a generous new grant to the Center for Partnership Studies from the W.K. Kellogg Foundation, as well as earlier multi-year grants from the NoVo Foundation and the Kalliopeia Foundation. Support from these and other funders, including individual donors, allows us to move forward with groundbreaking projects such as the Caring Economy Campaign’s Social Wealth Economic Indicators and Leadership and Learning Programs. We are most grateful to these funders for their ongoing support and partnership! The Caring Economy Campaign and the Leadership and Learning Programs are projects of the Center for Partnership Studies. The mission of the Center for Partnership Studies (CPS) is to accelerate movement to partnership systems of human rights and nonviolence, gender and racial equity, economic prosperity, and a sustainable environment through research, education, grassroots empowerment, and policy initiatives. Your donation to CPS makes this work possible. Please contribute whatever you can, whether it is $5, $50, or $500! Learn more at www.caringeconomy.org, www.saiv.org, and www.partnershipway.org.